Today on XOJane, a blogger for a celebrity gossip site admits she once fabricated a rumor tying 37-year-old Alexander Skarsgård to 64-year-old Meryl Streep, hoping it would be picked up by blog-land. As manufactured rumors go, this one gets a solid B+. It's nice to see a gender reversal on the standard December/May relationship — particularly because in this case, both parties (slash their Swedish abs) are so talented and likeable — but if you're going to make up a rumor, you might as well go all the way. Skarsgård/Streep relationship? Very nice. 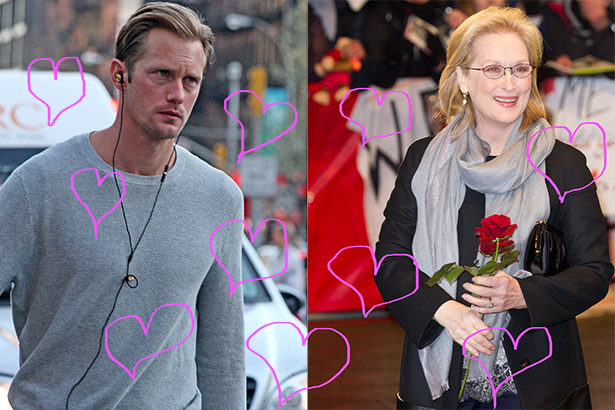 Skarsgård/Streep pay extraterrestrial surrogate to carry their secret love child? That is an A+ rumor, if I do say so myself. "Crazy celebrity antics are a no-brainer — the words 'Miley Cyrus' and 'shocking' in a headline guarantee thousands upon thousands of thoughtless, gossip-hungry clicks. But when it comes to health or human interest — when it comes to anything about actual people — my job becomes harder, if less hollow-hearted and glib. I find myself, time and again, passing over stories with the slightest hint of depth or meaning in favor of the jaw dropping, the sensational. I operate on the assumption that my readers are incapable, or simply unwilling, to appreciate subtleties. 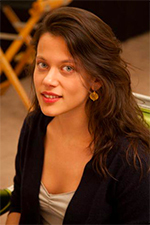 Except it's not an assumption, the numbers back this theory's validity time and again."